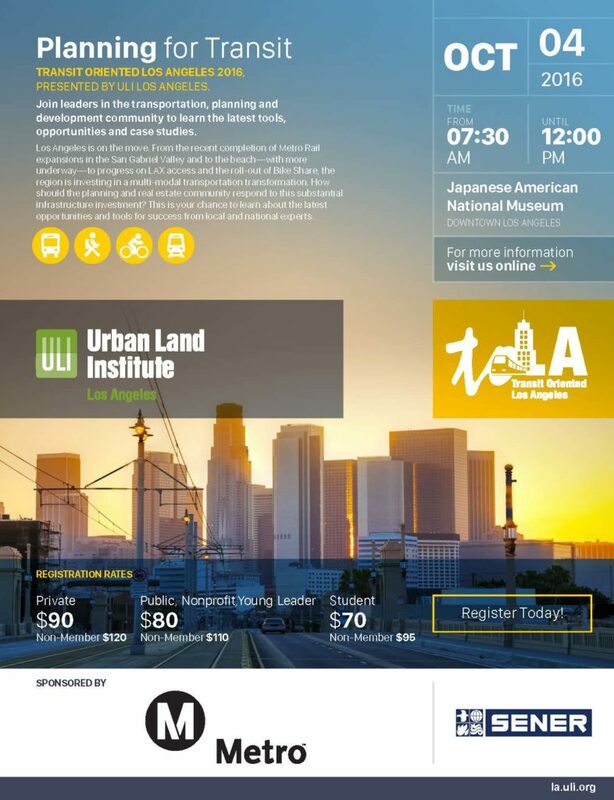 ULI Los Angeles, a District Council of the Urban Land Institute (ULI), presents Transit Oriented Los Angeles 2016: Planning for Transit,Tuesday, October 4, at the Japanese American National Museum, Downtown Los Angeles. This year’s ToLA event will feature leaders in the transportation, planning and development community offering the latest tools, opportunities and case studies. Speakers include City of Los Angeles Planning Director Vince Bertoni and L.A. Metro Chief Planning Officer Therese McMillan in a keynote conversation.